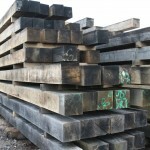 There are some situations where green Oak is not advisable and for those times we keep Air Dried Oak structural timber. These are standard(ish) sections available from stock in original drying dimensions. These stock sections can be cut to size to meet your exact* dimensional requirements. 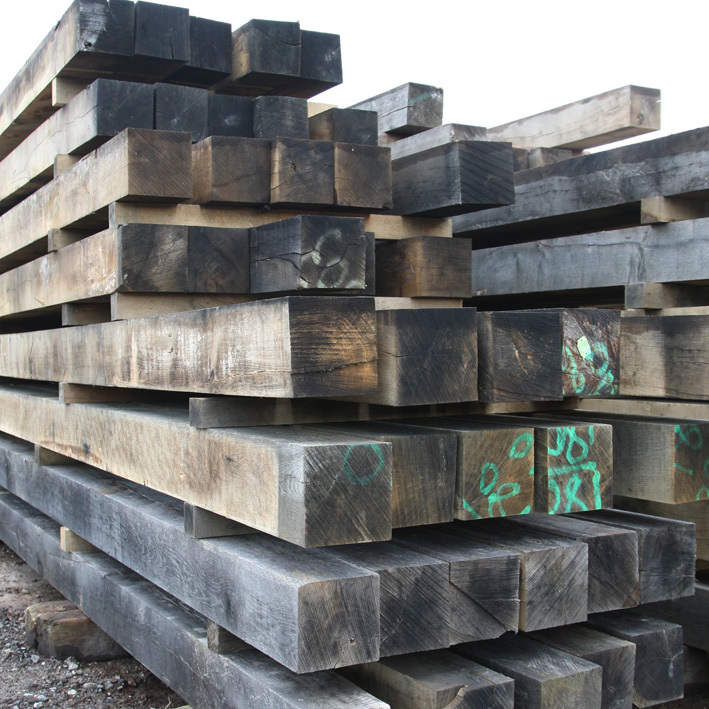 Air dried structural timber is used for the same purposes as fresh sawn timber except that this material has been seasoning outdoors since it was first cut and therefore has dried out significantly and stabilised. 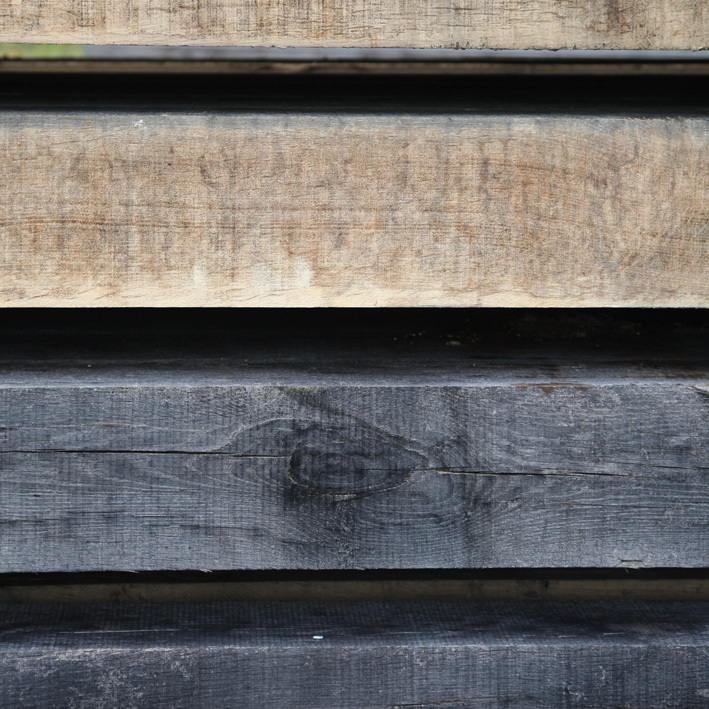 This also means that it is likely to be weathered, to have moved out of dimension (the corners/angles aren’t 90 degrees anymore! 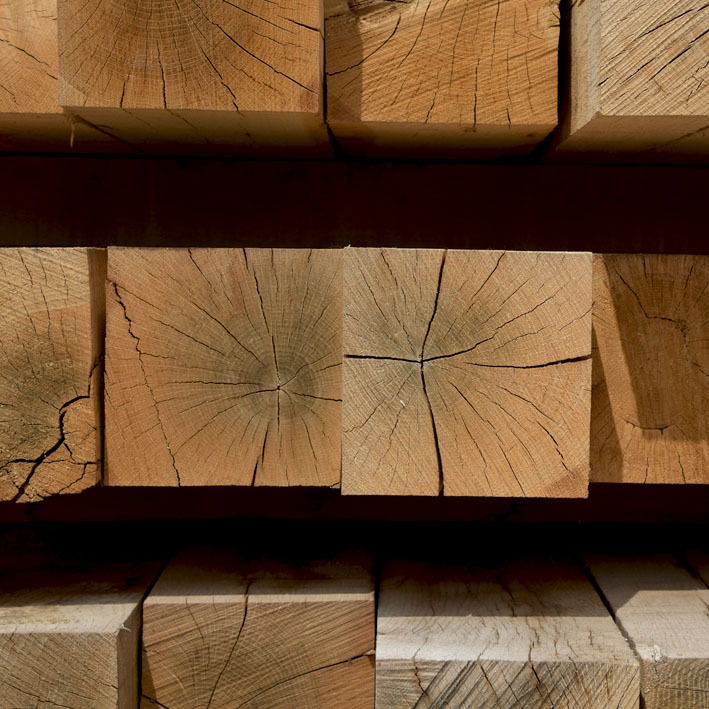 ), opened up knots, splits, grain and all manner of things that happen when the timber is seasoning. 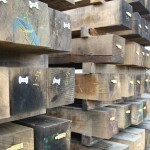 The result is structural timber that has is ideal for restoration and renovation works where you need replacement elements of an existing frame, or lintels into old brickwork etc. NB. 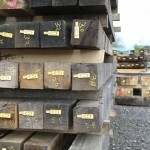 It is worth noting that structural timber that has stabilised after seasoning for years can be less stable and more likely to move and split etc when cut to size because greener/wetter surfaces are exposed which have a differential movement , this sometimes results in bowing, warping, splitting, cracking and other natural reactions. 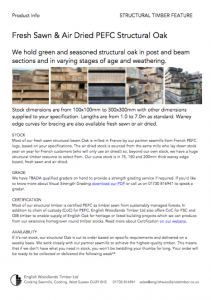 We can provide chain of custody certification for PEFC air dried structural oak. 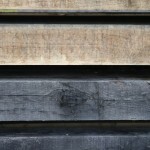 Read more about certification.